Priscillas: We Made Spring Quilts! 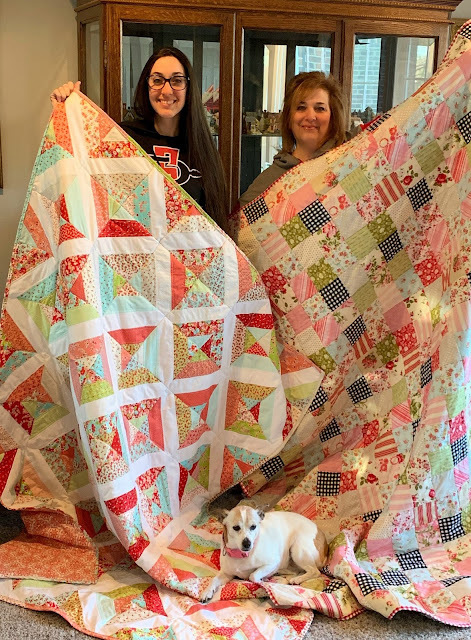 These fabrics were given to us by one of our viewers last year and we finally got them made into quilts! Aren't they pretty! Mine is made out of 4 inch squares.. The fabric bundle came with a lot of brown print fabrics .. so I removed those and added some aqua and of course my favorite black checks! My back is those fabulous black checks and the binding is red checks .. I love it ! 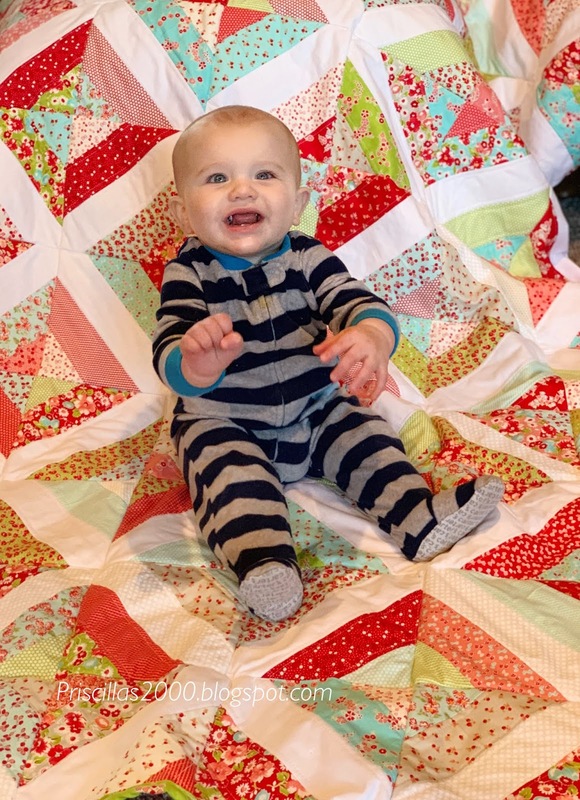 Chelsea's is a strip quilt , that we cut the fabric into 2-1/2 inch strips and then added a white jelly roll to .. We did a pattern with the white in the center on all the blocks . We did the quilt as you go method .. and used pre cut batting squares from the Fat Quarter Shop .. these squares are 7-1/2 inches ..There is a video below that we used to make the strip quilt ..
Quilt as you go video .. Thanks for sharing all this how to information. The quilts and the models are so sweet! You girls are so talented! 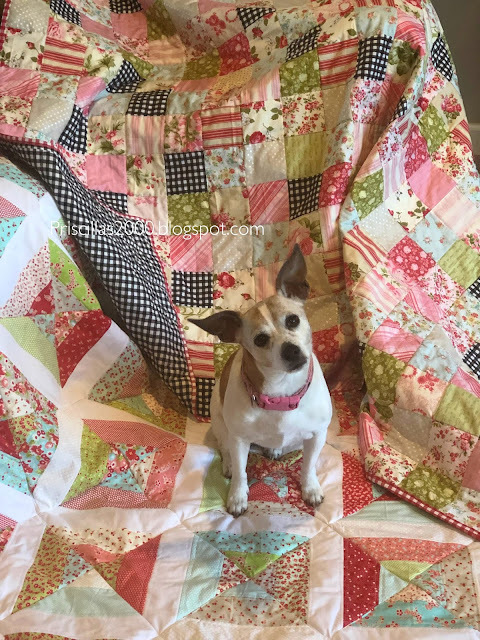 Your quilts are both beautiful! Priscilla, those blk/wh check squares just make the whole quilt pop & I love that you used it as the backing too! 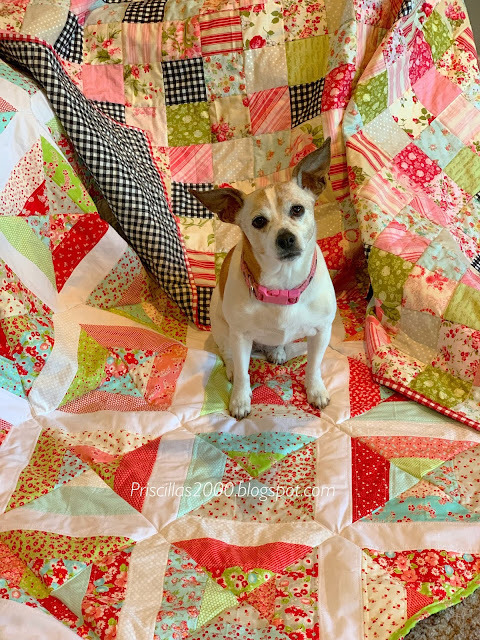 Chelsea, your quilt is so pretty! I love the colors, the design & your backing! I just recently watched a quilt as you go video & now want to try it sometime! How big are your quilts? 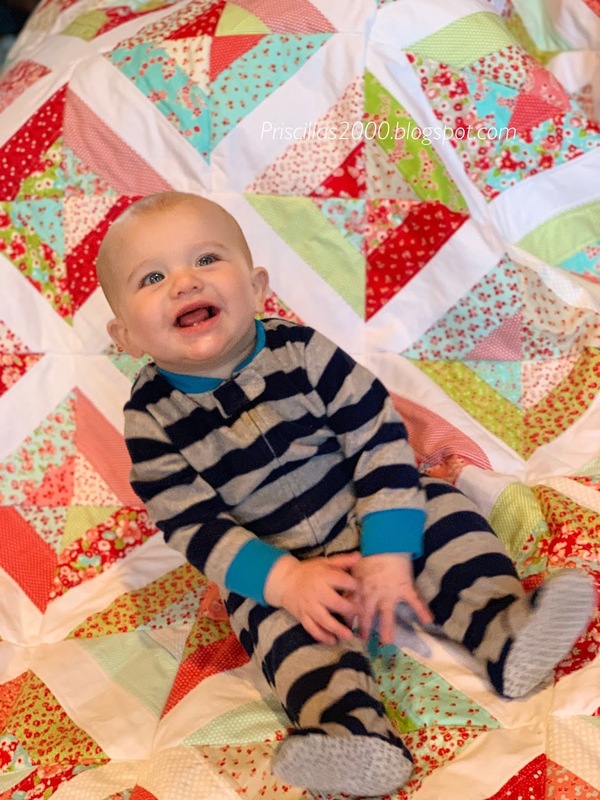 Also, your 2 quilt models are adorable! OOO, your quilts are sooo pretty. I haven't made one in years but have fabrics to make one soon...I am not really a quilter...I just do very simple patterns..Patchwork is my favorite and 9 blocks...they are pretty easy...it's all in the colors of fabric, I think. All of your quilts are so pretty. Such perfect colors for each holiday or season. 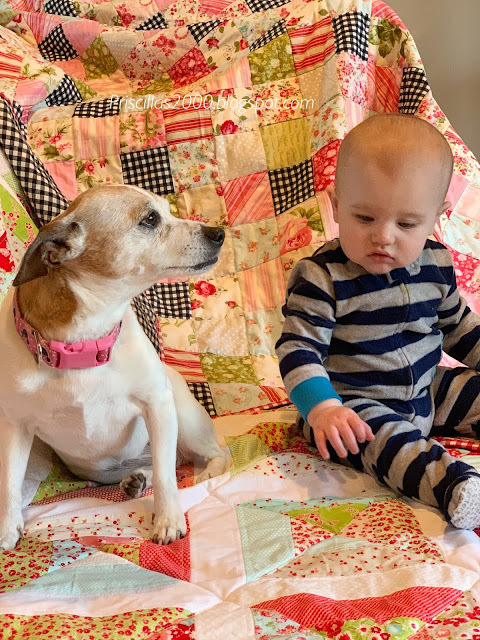 These are so very nice and I agree, cutest baby and cutest dog. Now where is that cutest cat? Love the spring quilts, such pretty fabrics. Cash is such a cutie pie!!! Can you please share the colors Chelsea used on Easter Peep?